CHRISTMAS HOLLY WELCOME MAT by Christmas Collection home decor, jewelry, decor, decorations, electronics, fountains, floor mats, art glass, vases, garden essentials, fireplace screens. 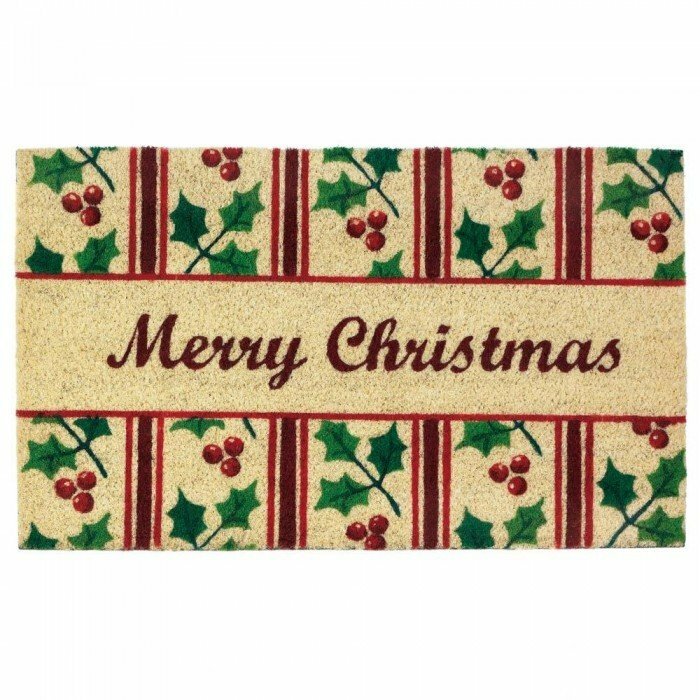 Welcome good tidings and great cheer with this Merry Christmas coir door mat. Its fibers will trap dirt and debris so you can focus on enjoying the holidays with friends and family. Material(s): COIR PVC RUBBER. Weight 4.4 pounds. Dimensions 30" x 18" x 0.5"